Brides can be of any culture and jewellery completes her all. When it comes to bridal jewellery no expenses of money matters as jewellery is an important part of wedding for every bride. In India jewellery shopping begins much more before the wedding. As people are getting more fashionable they are much concerned about their wearing. 1. 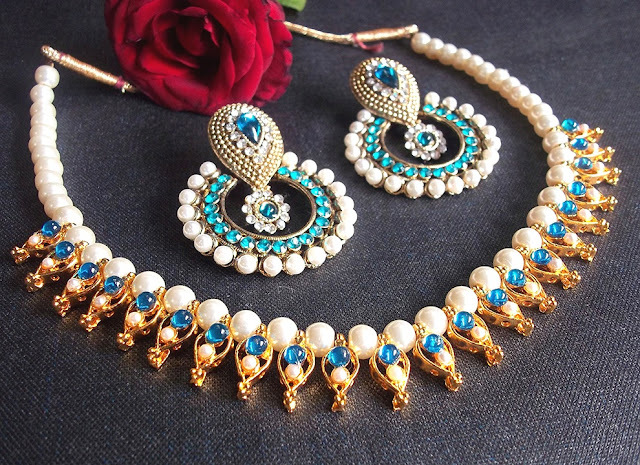 Sea Blue Pearl Necklace Set: This is the Rajasthani design necklace with blue and white pearls. 3. 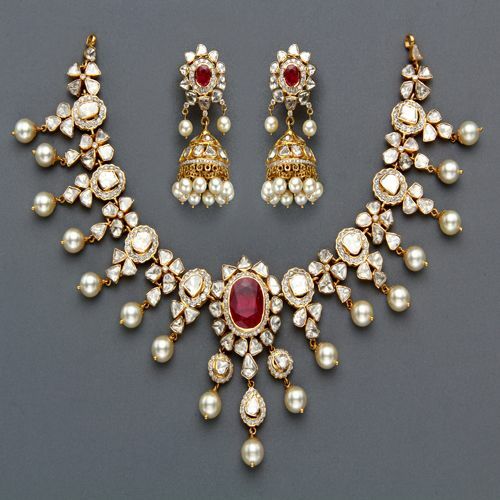 Antique Bridal Imitation Jewellery Work: A Gold Plated piece with green, pink stones and pearls. The set makes remind us of Jodha Bai. 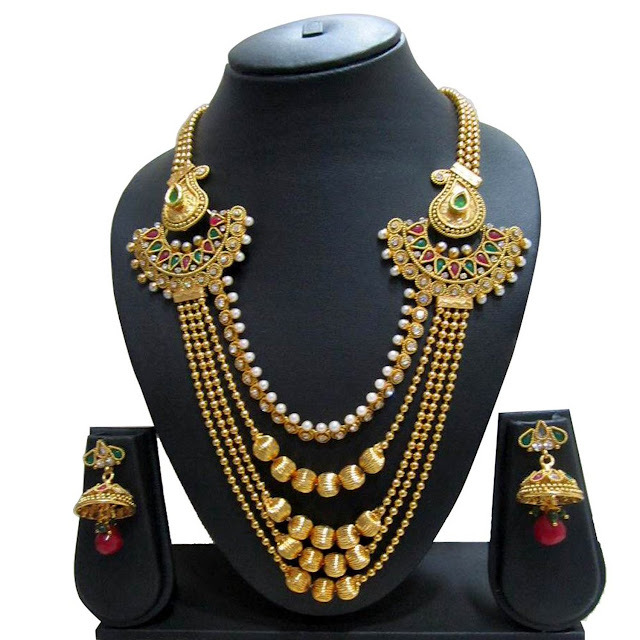 4.Ruby Kundan Meenakari Pearl Set: It is a South Indian necklace set with green and pink stones, and the set also comes with a nice pair of earnings. 5. 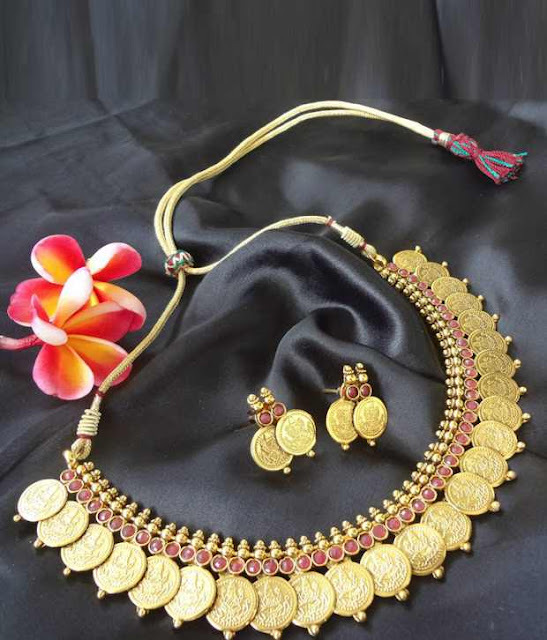 Immitation Kemp Bridal Spike Necklace Set: The necklace is perfect for south Indian wedding, made up of with red or green stones with gold plantings. 6. 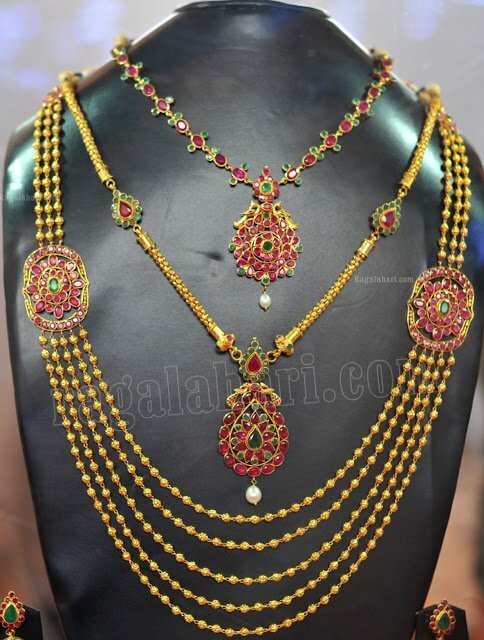 Gottapusalu: Beautiful south Indian necklace designed with pink and green stones. 7. Kundan Paisley Ruby Set: Designed with the ruby stones with pearl and kundan work. 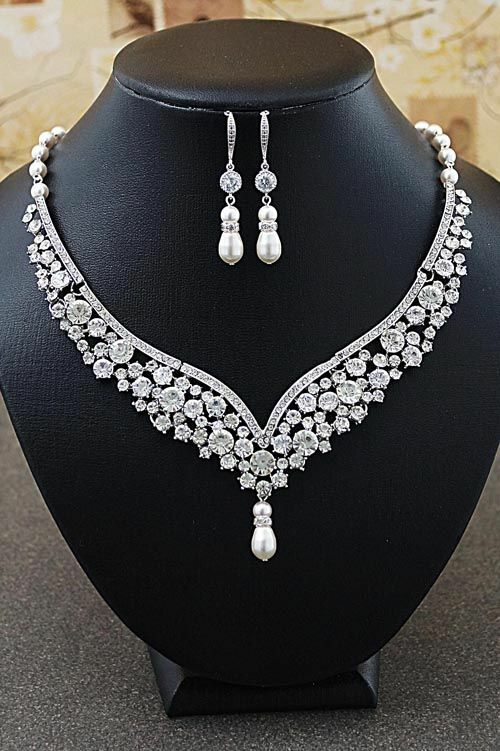 8.Swarovski Bridal Immitation Jewellery set: The set is designed with ivory imitation pearl beads and swarovski crystals. 9. Modern Silver Jewellery set: The necklace is elegant with floral design towards the right side of it and filigree designs to it’s left. 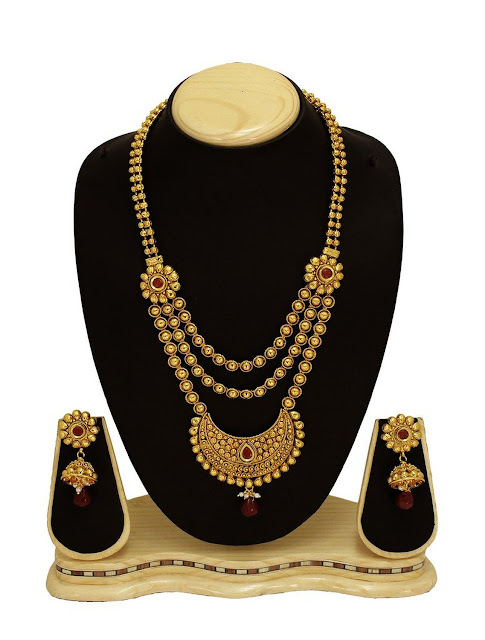 10:Designer Polki Choker Set: The Choker is gold plated and is designed with oval pearls and alloy stones. 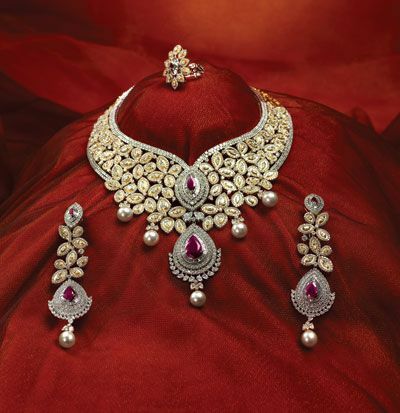 All wedding jewellery designs are awesome. 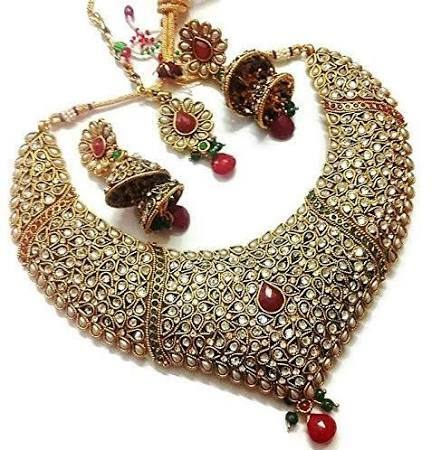 I love Kundan Paisley Ruby Set and Modern Silver Jewellery set. Also Sea Blue Pearl Necklace Set looks stunning. Thanks for sharing.